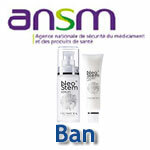 ANSM has just published a decision to ban two products developed by Laboratoire Promicea: Neostem Serum and Neostem Pocket Lift. To the French National Agency for Medicines and Health Products Safety, they fit the definition of a drug, not a cosmetic product, and are likely to be hazardous for human health. The decision was taken on March 13 and made public on March 16. 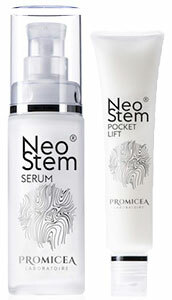 It involves the suspension of the production, export, bulk distribution, placing on the market, free of charge or for a fee, holding for the purpose of sale or distribution for free, and advertizing of the products named Neostem Serum and Neostem Pocket Lift by Laboratoire Promicea, as well as the withdrawal of these products. ANSM highlights that the laboratory claims both have the status of cosmetic products and contain a unique combination of two medicinal active substances, which exhibit curative or preventive properties for human diseases. According to the Agency, these products fit the definition of a drug given their presentation and function, whereas no authorization for their placing on the market was issued before they were marketed. As a result, they are sold and promoted in breach of the rules applicable to them. Furthermore, the Agency highlights the fact that the substances they contain may have toxic effects, so they are likely to be hazardous for human health.